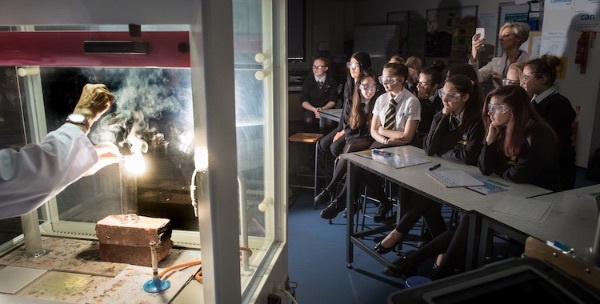 Science class for a Plymouth school prospectus showing the burning of magnesium. All Images are the © copyright of Paul Slater Images Ltd. No unauthorised use without prior permission from the copyright holder. Failure to do so may result in legal action being taken against you or your company.